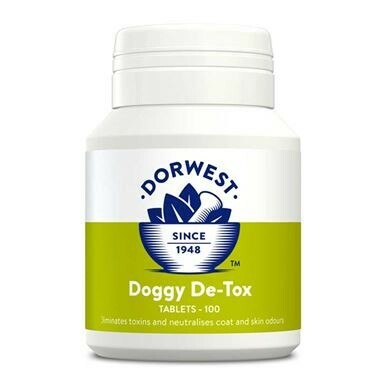 Dorwest is the UK's leading provider of canine and feline herbal treatments – and the only manufacturer of herbal medicines authorised by the Veterinary Medicines Directorate. 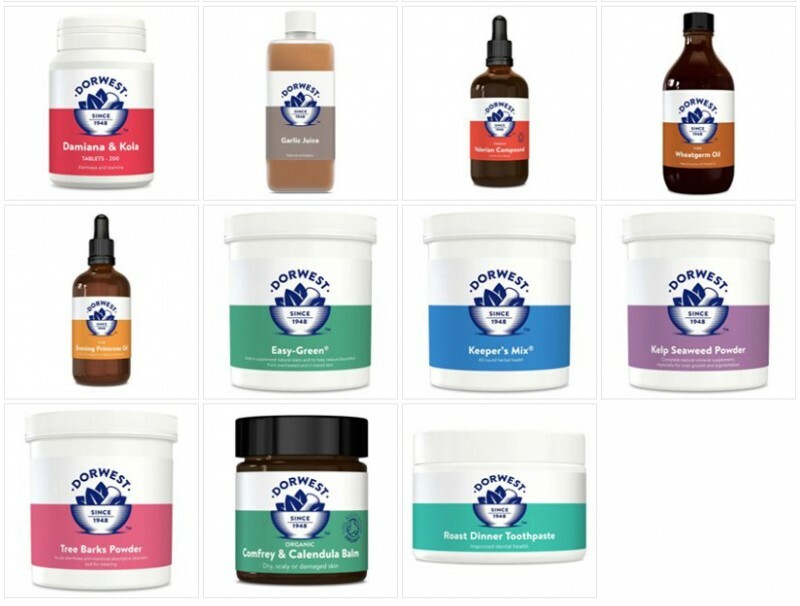 Over 20 countries around the world come to Dorwest for herbal treatments that work in harmony with their dogs – the young and the old...glossy show dogs and lovable crossbreeds...active, outdoors types and the contented, fireside stay-at-home canine. 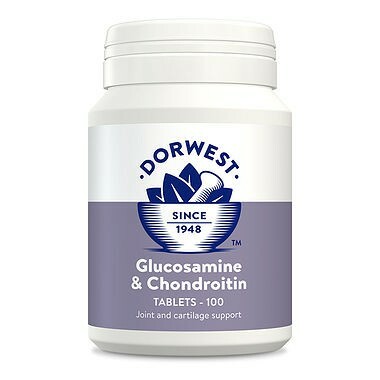 The Dorwest A-Z of Common Problems and their Frequently Asked Questions cover a whole range of queries but if you require further help, you can contact their Advice Line where you will find friendly and knowledgeable people who are ready to answer any questions. A naturally balanced blend of Omega Oils containing superior natural ingredients. UK grown cold pressed Flax Seed Oil provides high levels of Omega 3 & 6 oils . 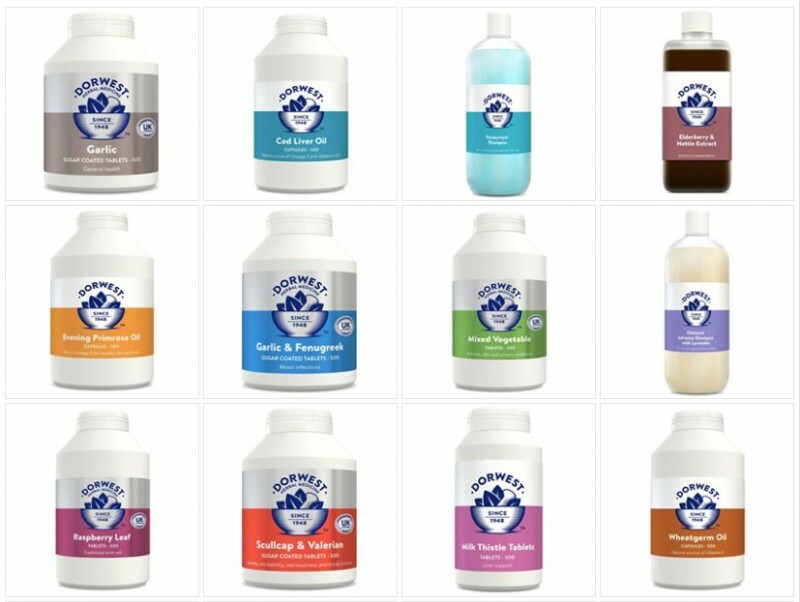 These are important in regulating skin renewal, keeping scurfiness under control and improving coat condition and quality. Blackcurrant Seed Oil is a potent mix of significant Omega 3 and 6 oils including an Omega 3 oil rarely found in nature, with unique properties to help soothe sensitive skins. 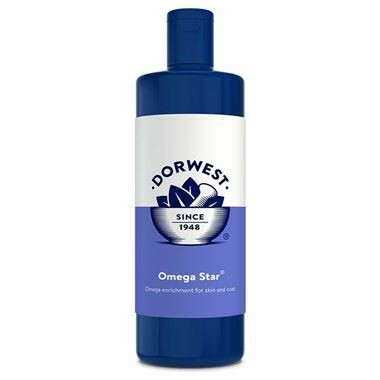 The combination of Omega 3 fatty acids in this oil is perfect to help thin, poor coats. Borage Seed Oil (Starflower) is highly regarded as one of the richest sources of Omega 6 GLA, which is known to help coat growth and improve skin condition. 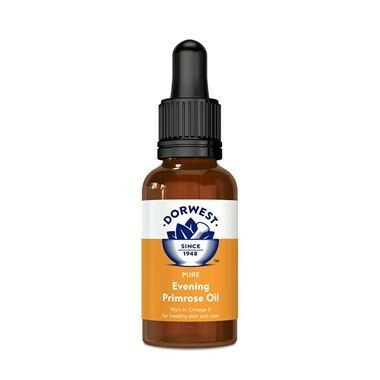 Natural Vitamin E is a well known anti-oxidant from natural sources, perfect for maintaining the skins defences. Dorwest's top selling dietary supplement for all round herbal health. Keeper’s Mix is derived from a recipe developed by a Dorset gamekeeper and kennel-man and contains an impressive eight ingredients. 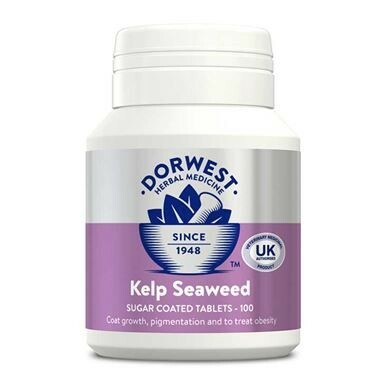 Balance is the key to this potent herbal blend which contains natural antioxidants, vitamins, minerals, chlorophyll, fibres and complex bioactive compounds. Affecting many organs and even regulation of body systems, as well as promoting a thick healthy coat, Keeper’s Mix helps get everything back into sync, restoring the body’s natural rhythm and function. 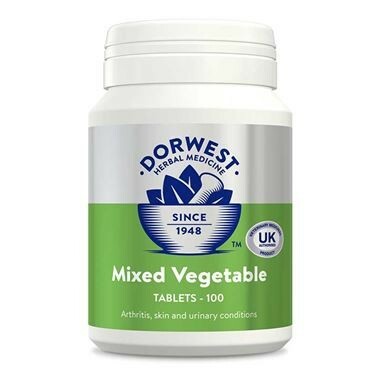 Dorwest appreciates their customers and believe in rewarding your support through their Loyalty Club. It's FREE to join and is a must-have for regular customers and breeders!. Whippet Snippets Dog Photography - Surrey, Sussex, Hampshire.